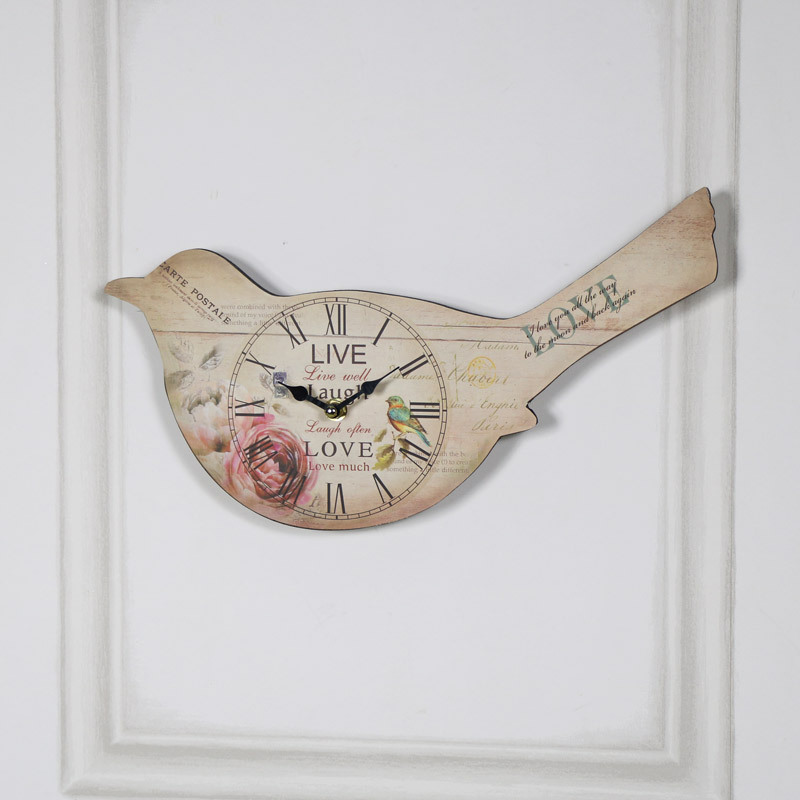 From our timepieces collection, this is a wooden Wall Clock, fashioned in a bird shape and hangs from the wall with a black ribbon. It is painted cream and features a bird, a butterfly, flowers and script with an inspirational theme of 'Live, Laugh, Love'. 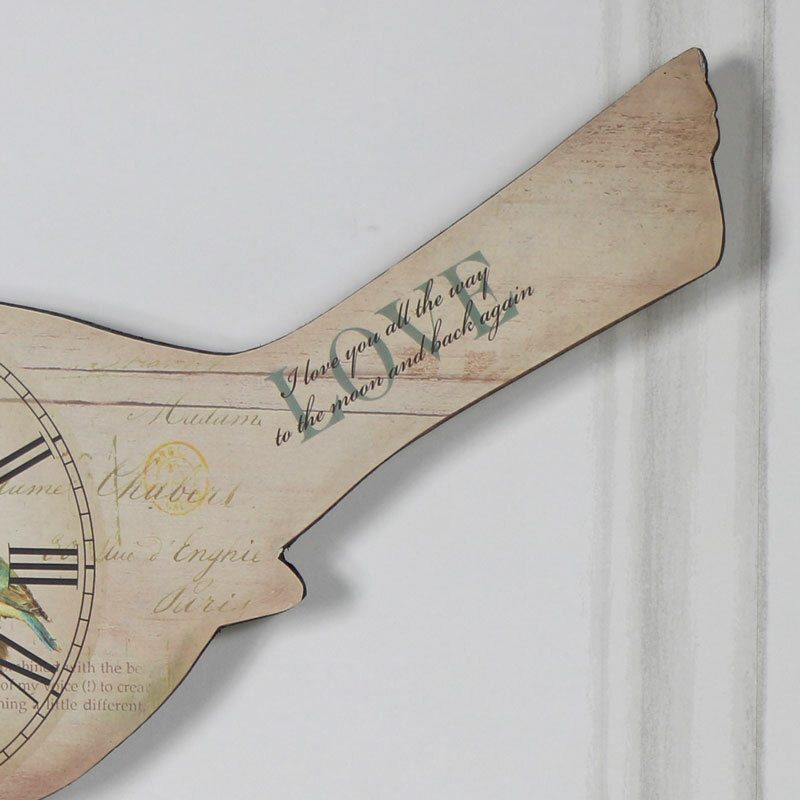 You will need one AA battery for the clock to operate and its dimensions are 37 cm x 15 cm x 4 cm (length x height x width). 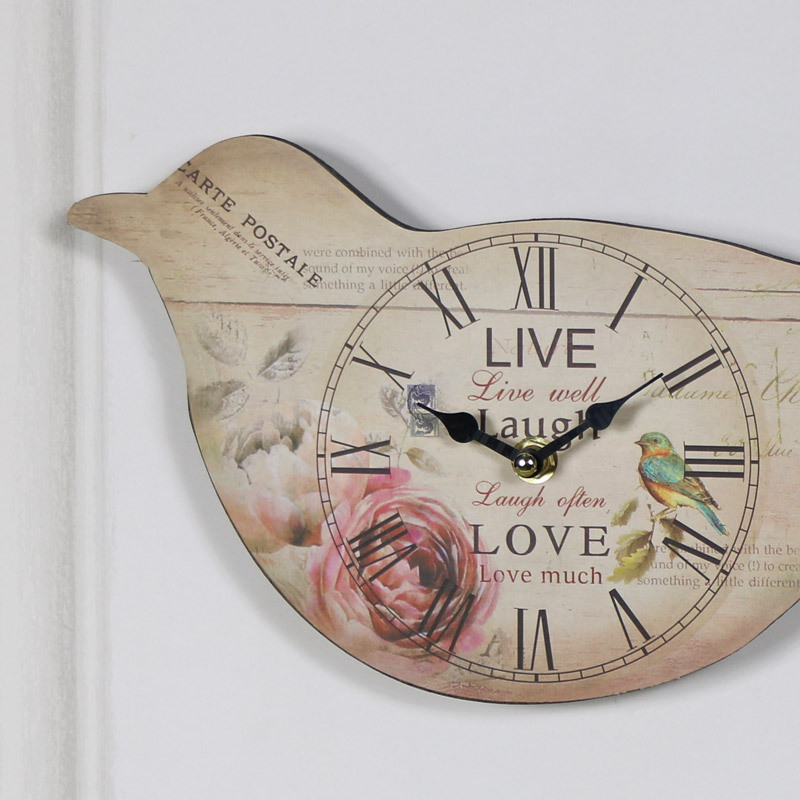 We have a similar clock in pink.